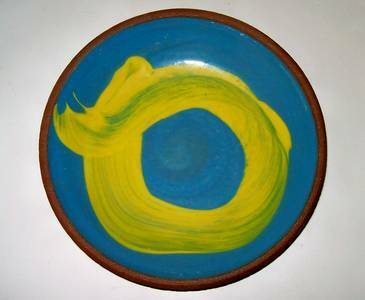 Description: This is a mid-century piece I believe. Signed as seen with what I call Crows feet. Might be an H over an M or W. Measures approx. 9 1/4" in diameter and is 1 1/2" tall. Condition is great. 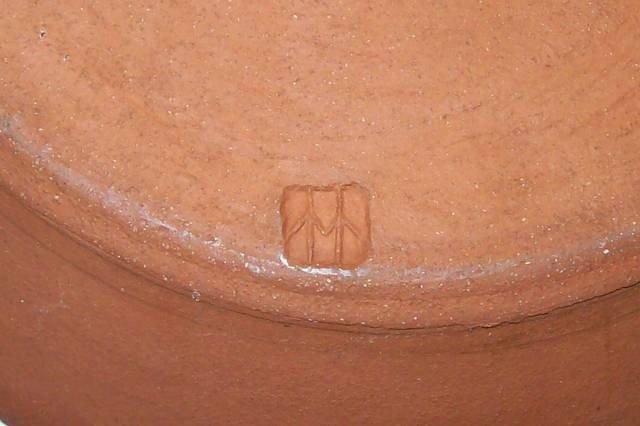 There are no chips but two or three nicks to the very edge of the terracotta rim. 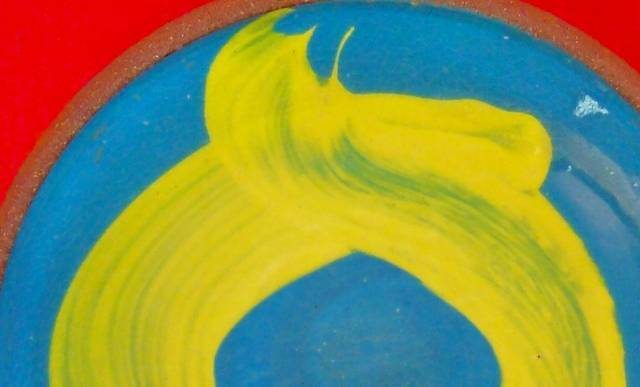 The glaze is crackled to begin with and there might be light yellowing to the very center of the charger. MH or HM, depending on which way is right-side-up!